Hertfordshire teaching jobs, Bedfordshire teaching jobs, Buckinghamshire teaching jobs, North London teaching jobs, North West London teaching jobs, Havering teaching jobs and Thurrock teaching jobs. Plus teaching assistant and other school support roles in all areas. Our team is based in the centre of Watford. The team service all the home counties (Hertfordshire, Bedfordshire and Buckinghamshire), North and North West London, as well as Thurrock, Havering, Dagenham and parts of Essex. As the branch covers such a wide area covering most of the South – East region of the country it is currently our biggest branch, with outstanding client relationships and excellent Teachers, Support Staff and Mentors working for us. You will be in extremely good hands. Our branch consists of extremely experienced consultants and new consultants, who all offer great expertise and different skill sets. Our Watford team would be delighted to speak with you about the roles they have available, call today on 01923 295 300, or register online at the link below! Nav is one of our longest standing consultants within the company after joining us in 2009. Nav has done brilliantly to build up his area covering the whole of Buckinghamshire and Watford. 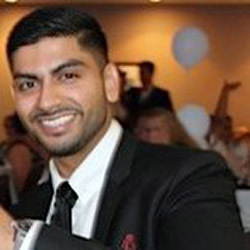 Nav is excellent at building relationships with clients and candidates mix this with his knowledge and understanding of the area makes him number one choice.